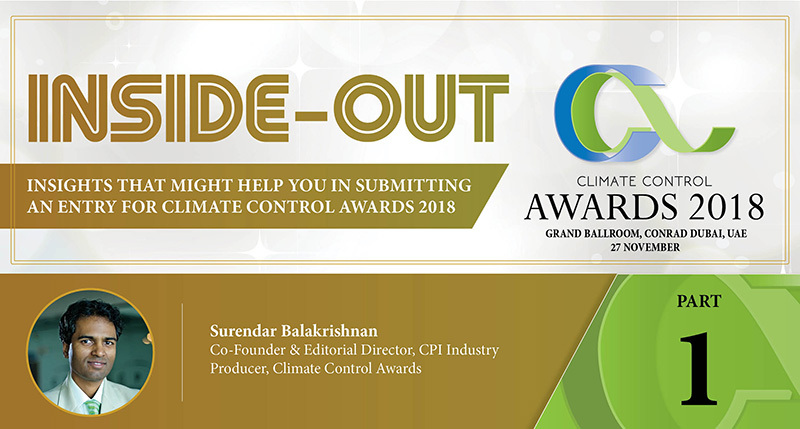 Starting this week, for as long as it reasonably takes till the deadline, I shall do my utmost to explain the submission details of Climate Control Awards 2018. This is an extraordinary and unprecedented measure aimed at demystifying the submission process. The primary objective is to ensure a level playing field, so every company eligible for applying feels confident enough and encouraged to undertake the exercise. Before I go into the details, it is important to understand the hopes and aspirations that underpin the Awards. 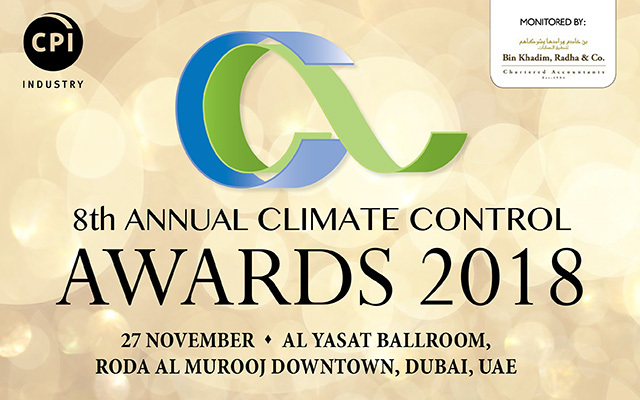 CPI Industry, as publishers of Climate Control Middle East magazine, instituted the Awards to establish a benchmark for the HVACR industry, as present in, or serving, the region. At the time of drafting the charter, in the days leading to the inaugural Awards, in 2011, the aim was to provide organisations, individuals, projects or services with a proverbial mirror to hold in front of them to gauge their performance in the course of a year. It was hoped that organisations, individuals, projects or services, in aspiring to win the trophy, would, if not already, start paying abundant attention to issues beyond their bottom line, though it must be added in all wisdom that those issues, if given due and self-motivated importance, would, in fact, help them in their financial performance in the mid and long term. So, what were the issues that came to be established as defining the Awards at the time of writing the charter? Well, broadly speaking, they had to do with aspects the HVACR industry is able to amply contribute towards improving the condition of people and planet. They typically were elements that populated the framework of socio-economic and sustainable development, including improving energy efficiency; optimising water use; protecting the soil, air and water; improving indoor environmental quality; improving the performance of economy-boosting and mission-critical industries and facilities, such as petrochemical plants, data centres, pharma facilities and blood banks; ensuring food safety and food security; ensuring fire safety; supporting broad economic initiatives of the government, quasi-government and private sectors; ensuring business and trading propriety with a view to protecting all stakeholders, including manufacturers, suppliers and end-users; and empowering and mentoring stakeholders, including employees, consultants and contractors towards strengthening technical, financial and business best practices. Next week, we shall look at these issues in the context of the 2018 edition of the Climate Control Awards.